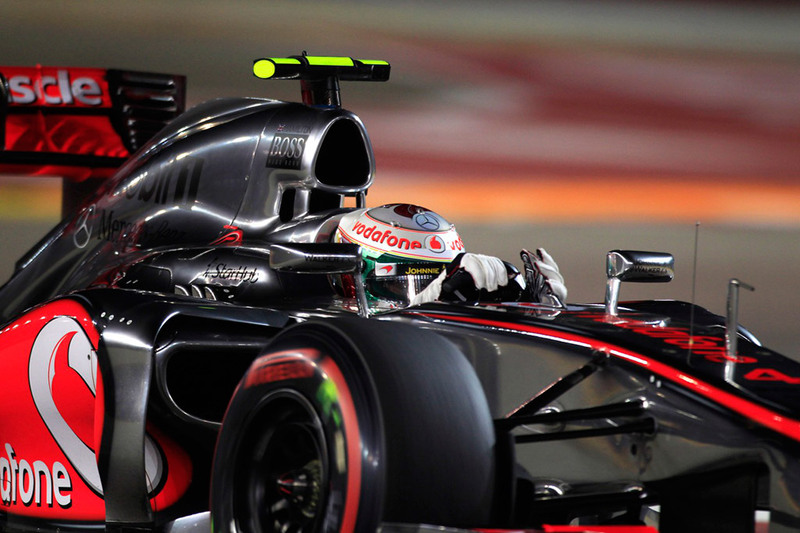 22 September 2012, Singapore – It was Lewis Hamilton's turn to shine when the 2008 World Champion claimed pole position for McLaren Mercedes ahead of Sunday's 2012 FORMULA 1 SINGTEL SINGAPORE GRAND PRIX. Hamilton, 27, took his second Singapore pole with a lap of 1 minute 46.362 seconds, an average lap speed of 171 km/h, ahead of Williams Renault's Pastor Maldonado. The Venezuelan starts from his second front-row position of 2012. "I'm very happy with pole position," said Hamilton after securing the 24th pole position of his career and his fifth of this season – the ideal spot from which to maintain the momentum that has seen him surge to second in the World Championship this year. "It's been a good weekend so far, but there are no points for today, and it's going to be a long, tough race, so I still need to be cautious," added the 2009 Singapore winner. "I hope we've done the work we need to do to put us in a strong position for tomorrow – the key will just be to stay out of trouble and look after the tyres. Starting behind Hamilton is defending Singapore champion Sebastian Vettel, who was fastest in all three free practice sessions but could not squeeze sufficient pace from his Red Bull Renault to threaten Hamilton's dominance. Two-time Singapore winner and current title leader Fernando Alonso will start his Ferrari from fifth spot but teammate Felipe Massa could not make it into the final 10-minute shoot-out for grid positions and qualified 13th. Singapore already has its first champion of 2012: that's Davide Valsecchi, who secured the GP2 Series title when he finished fourth for DAMS in Saturday's 34-lap feature race. With nearest challenger Luis Razia of Lotus GP finishing one place behind him, the Italian has an unbeatable lead going into Sunday's 24-lap sprint race. The GP2 race win went to Max Chilton of Arden International and it completed a wonderful couple of days for the 20-year-old Briton. Earlier in the week it was announced that Chilton will officially fill the reserve driver role for the Marussia F1 Team until the end of the season. "It's a bit of a dream weekend so far," smiled Chilton after his second victory of the 2012 GP2 campaign. "First the announcement, and then to have a win like that! It was the right time for that win to come. I'll try my best again tomorrow but it's fantastic to end the season like this." The Sauber F1 team's third driver Esteban Gutierrez finished second for Lotus GP, who will go into the sprint race just two points behind DAMS team in their race for the teams' title. Third was Racing Engineering's Fabio Leimer. Team Eagle's Martin Ragginger, 24, claimed pole position for the Porsche Carrera Cup Asia race but has previous Singapore winner Craig Baird in the SC Global Racing entry alongside him, while series leaders Alexander Imperatori and Keita Sawa will start the 12-lap race from fourth and seventh places respectively. Qualifying for the Ferrari Challenge was a journey of exploration as the 28-strong field managed only one lap in practice on Friday before a red flag and heavy rain. The cream certainly rose to the top when Spaniard Marc Gene, a guest driver this weekend, claimed pole position by a second and a half from Thai driver Pasin Lathouras. Gene has a slight advantage: a long-term member of Ferrari's inner circle as a test driver and brand ambassador, he is also a former Formula 1 driver in his own right with 36 races for Minardi and Williams between 1999 and 2004. Singapore's Ringo Chong qualified third-fastest for Sunday's 12-lap race. Saturday's off-track programme was equally thrilling as Noel Gallagher's High Flying Birds and The Proclaimers played live sets at the Village Stage while Bananarama performed for a captive audience at the Padang – the entertainment heart of the Marina Bay Street Circuit. The curtain-closing act was multiple Grammy Award winner Maroon 5 who performed 'Moves Like Jagger' in response to the encore of approximately 50,000 rock fans.